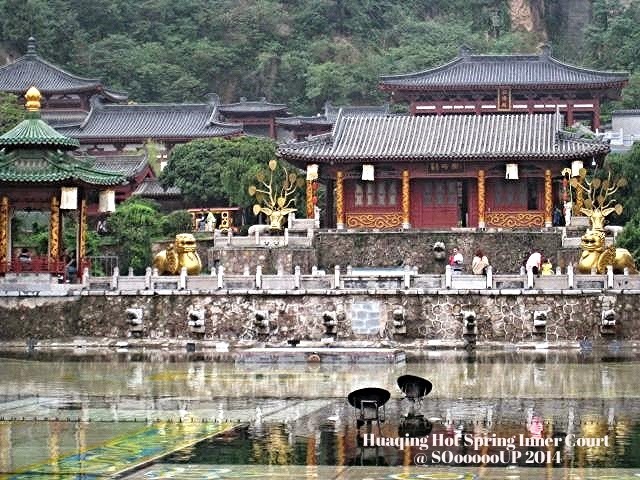 Huaqing Spring is a walled palace built around Lishan Mountain in the year of 747. 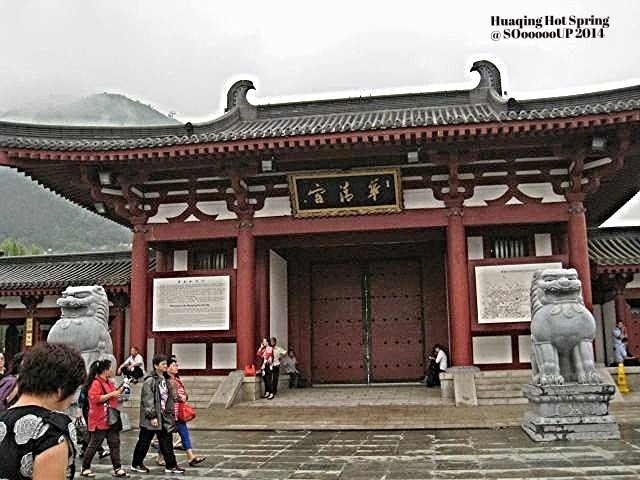 It was known as the Huaqing Palace. 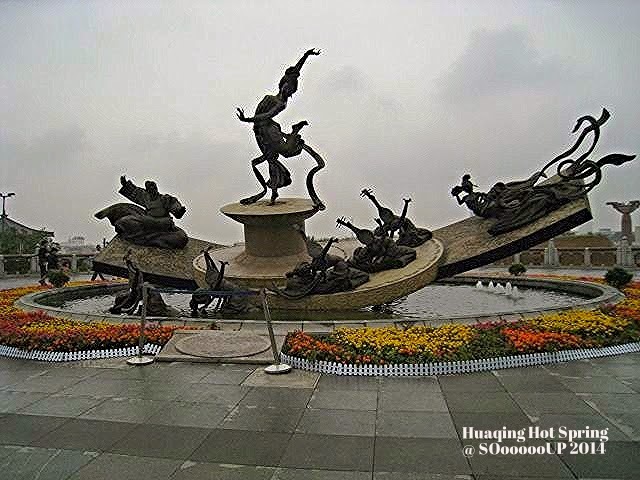 It also had the name Huaqing Pool on account of its location on the hot springs. 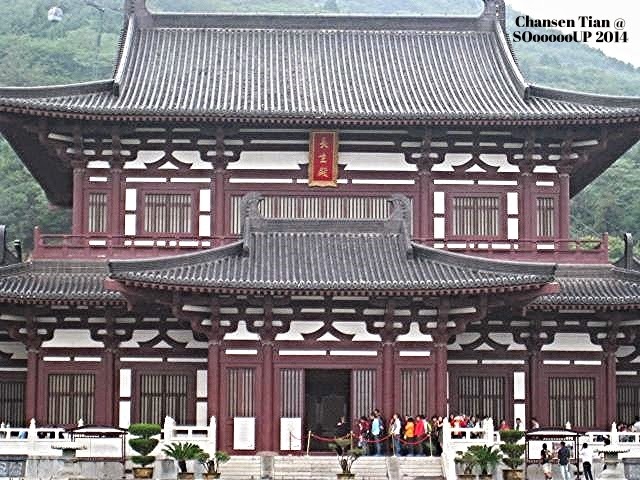 It stands 1,256 meters high. 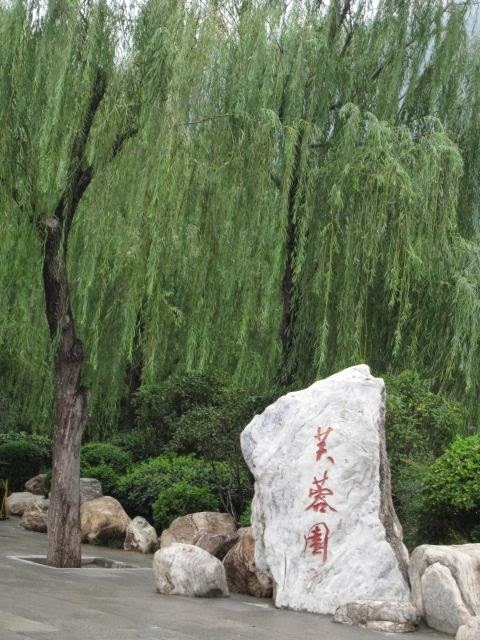 It is covered with pines and cypresses, looking very much like a dark green galloping horse from a long distance. 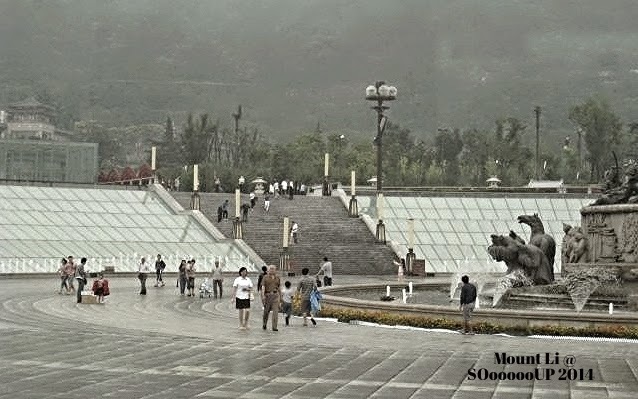 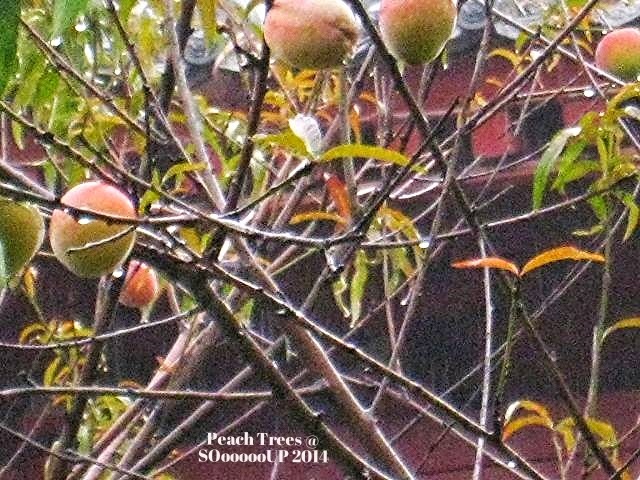 So it has the name of the Lishan Mountain. 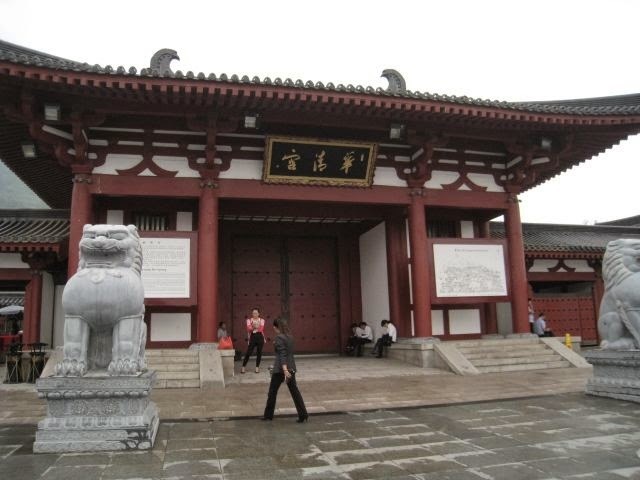 The Huaqing Palace has the status as a National Cultural Relic Protection Unit and a National Key Scenic Area. 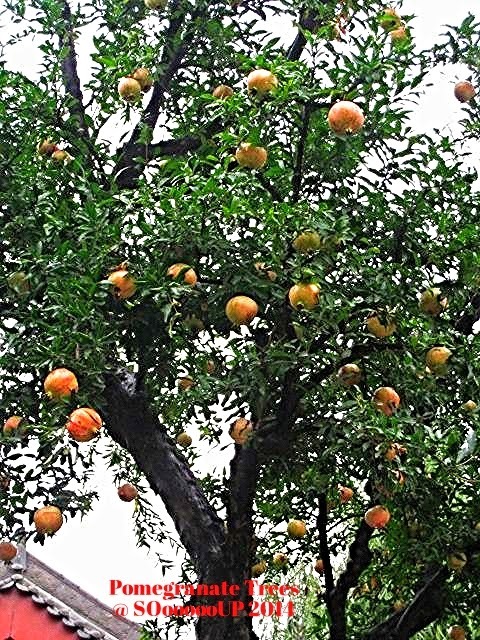 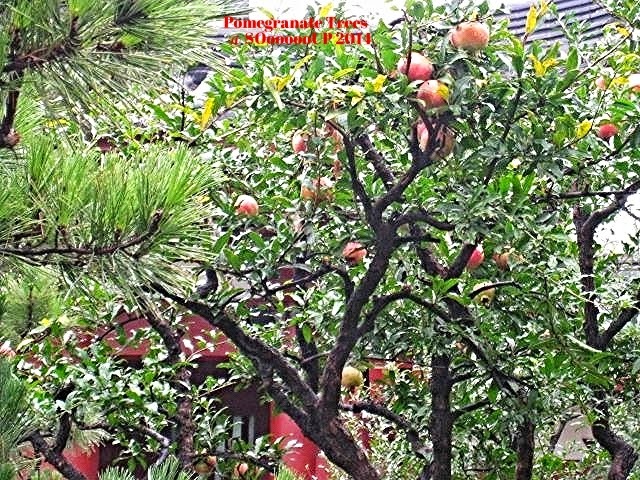 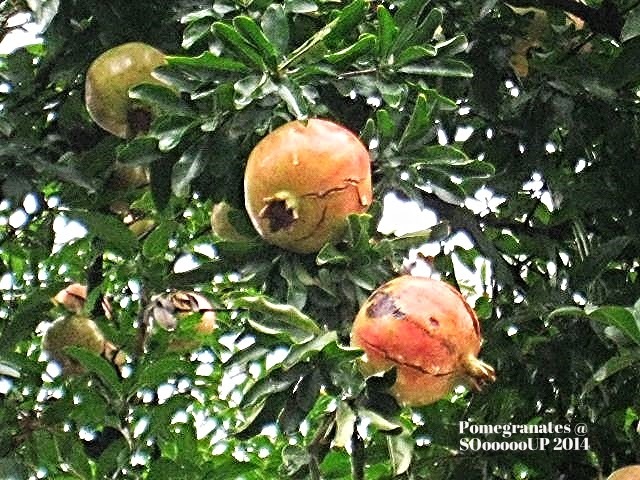 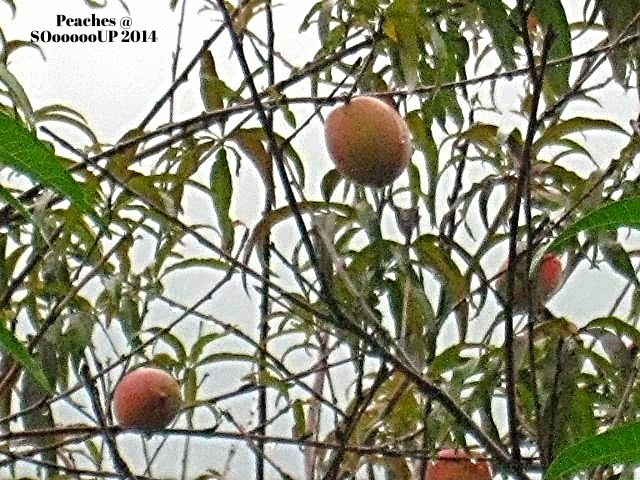 Big and ripe pomegranates ready for harvesting. 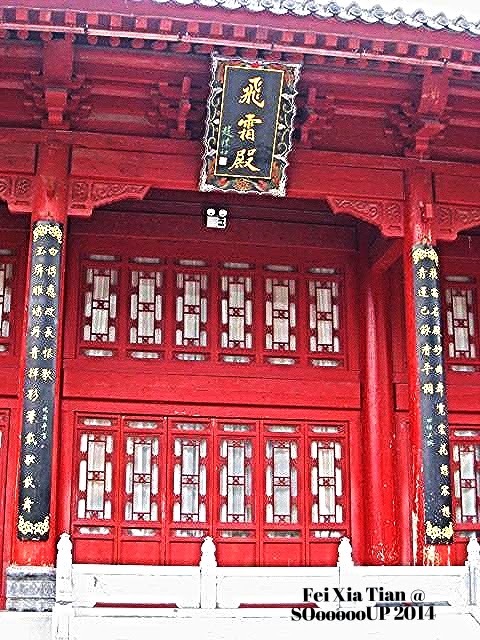 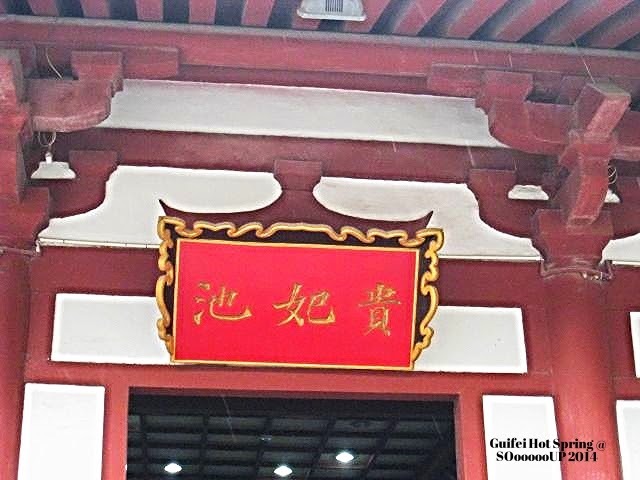 The magnificent Frost Flying Hall used to be the bedroom of Emperor Xuanzong and Yang Guifei, with red supporting pillars and fine-patterned carving. 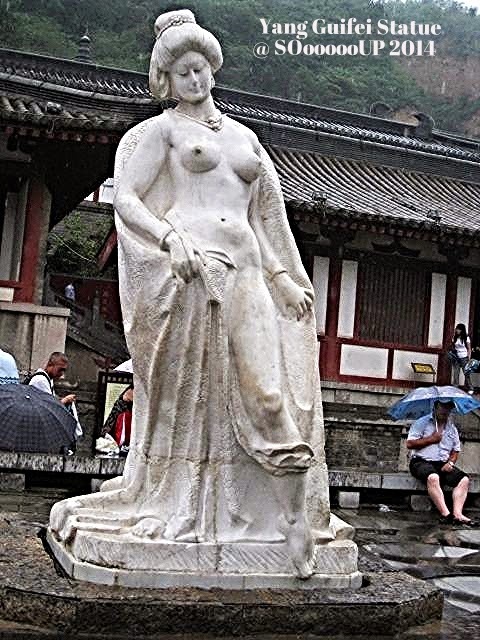 A white marble statue of Yang Guifei - recognised as one of the four most beautiful women in ancient China - stands tall by the lake like a shy and appealing fairy. 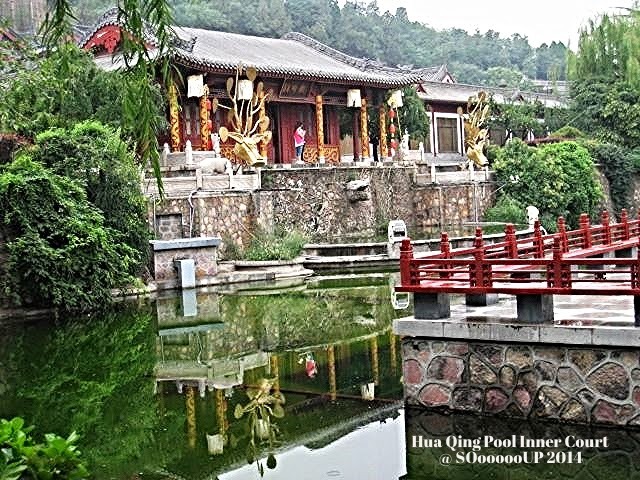 Lotus Flower Pool, also known as the Imperial Nine-dragon Bathing Palace, was built in 747 exclusively for Emperor Xuanzong of the Tang Dynasty. 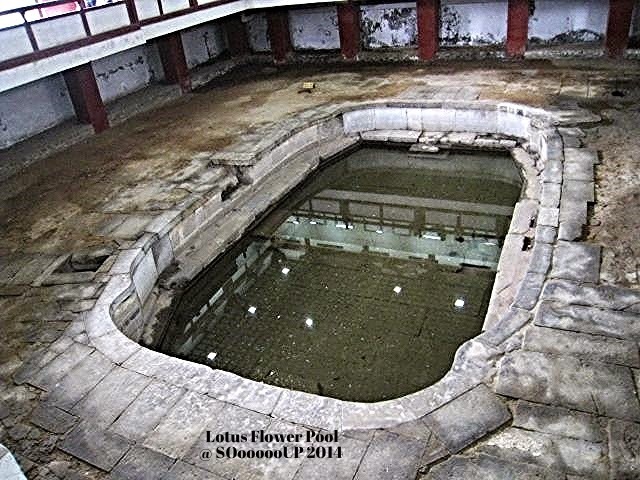 The pool was constructed with lime stones in oblong shape with two terraces, magnificent in design and grand in scale. 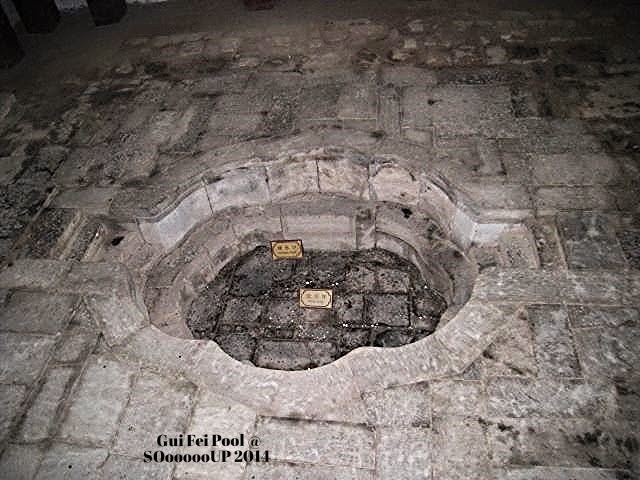 The water is so clear that you can see down to the bottom. 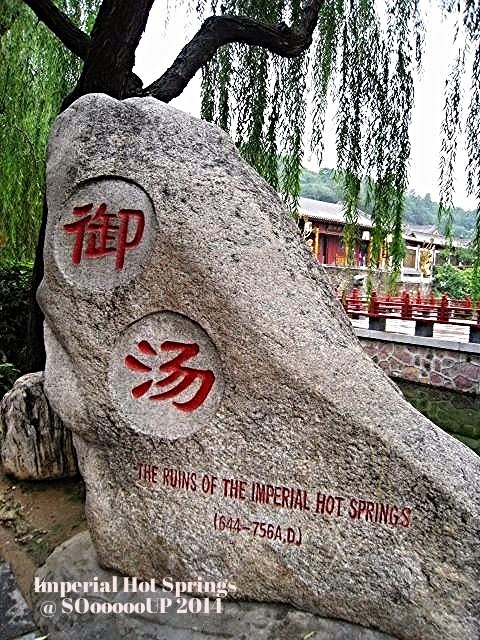 With an even temperature of 43 degree (109 F), the ever-flowing water of the hot spring contains minerals and organic materials that have therapeutic effects on the skin, which is good for bathing.